If Obama’s re-election doesn’t show you that the USA is hopelessly lost, there may be no hope for you. But on the odd chance that it served as a wake-up call, here we go. The main problem is the sin of idolatry, and the United States of America is the idol. You went to a public school (or to a “private” school that mirrored public school teaching). You learned to recite the Pledge of Allegiance. Other than the words “under God”, which were added in the 1950s, this pledge is a mixture of lies and idolatry. You learned to sing some “patriotic” songs. You studied a false history that is constantly being revised in Orwellian fashion to fit the agendas of those currently in power and/or vying for power. You hear that it is your country right or wrong, that you must stand by it no matter what, and that this a good thing. But then, you learn about the Nuremberg Trials and how it was a crime for Germans to have stood by their country whether it was right or wrong. You hear about “American exceptionalism” – how the US has a mission to expand its form of government and its way of life all over the world, and how the laws of history that have always applied to every nation do not apply to the US. You also learn that what a person believes does not matter. Christianity, Judaism, Islam, Buddhism, agnosticism, atheism – they are all equivalent. What you believe isn’t special; you can’t even claim that what you believe is the truth, because you need to be tolerant. You study mythology. You read about what ancient peoples used to believe and some of it sounds a bit silly. Finally, one of your classmates says it out loud. And the connection is made. “Maybe someday people will say that what we believe now is silly too.” So, you wonder about that church or temple where your parents take you. Finally, it sinks in totally. The United States of America is your god. It is the only god that you must believe in. You are locked into a two-party system. It is like having only two ships to choose from for a long journey. Each has different accommodations. You can only pick one. You will want to try to travel with your friends. But you will have to decide which of the two different accommodations suit you best. One has a swimming pool and the other a hot tub. One has tennis, the other one shuffleboard. One serves seafood and the other barbeque. One has live music every night while the other shows first-run movies. One trip you might take one of the boats and the next the other. Maybe you could care less about tennis and shuffleboard, but would like both the pool and hot tub. Maybe one boat meets most of your needs, but you need to give up your live music and sit through music that bores you. So, you write the two cruise lines and tell them what you would really like on a trip. So, both cruise lines write back and tell you that forty (40%) percent of the potential cruise customer like cruise accommodations just the way they have them, or, at least, forty (40%) percent of the public will tolerate the cruise accommodations just the way they have them. With two competing cruise lines each catering to forty (40%) percent of the potential cruise customer, eighty (80%) percent of the potential cruise customer is pretty much locked up. It just isn’t worth trying to make a third cruise line to cater to the other twenty (20%) percent. OK, a few companies have started up thinking that they could get a chunk of the remaining disaffected twenty (20%) percent and start making inroads into the other cruise line customers. Too bad they they all go broke. People who buy tickets to the the new cruise lines often lose their fare money or find themselves stranded at a foreign port of call. Of course, the concept that you are “electing a President” is a misstatement. You vote for a slate of electors who are the only people who actually get to vote for the President. All States do it that way, but no State has to do it that way. Each State legislature decides how to pick those electors. In most States, it is winner take all. So, if your guy gets a few votes less than the other guy in California, your guy gets no electors. The guy with a few votes more gets all fifty-five. It is a joke for people to call the United States of America either a “nation” or a “country.” Our Founders considered it to be a federation – in fact, a republic of republics. A “nation” is a people, a blood line, a race, and a shared culture. A “country” is a geographical place. If you are a Cherokee, that is your nation. If you live North Carolina, that is your country. If your ancestors (or most of them) came from Scotland and you live in Alabama, your nationality is Scots-American and your country is Alabama. So, you may be a Mexican-American from Texas or an African-American from Missouri or a Serbian-American from Florida. Peoples differ. Regions differ. States are sovereign, although we act as though they are not, and the federal government violates that sovereignty on the basis that might makes right. But certain States have certain biases. Over the last few presidential elections, some patterns have emerged. Some States tend to be almost automatic for the Democrats and some seem almost automatic for the Republicans. It has gotten to the point where presidential campaigns focus on a few “swing States” and virtually ignore those not in play. In recent years, statisticians in academia and the media have provided maps using the color blue to indicate a Democrat vote and red to show a Republican vote. Considering that red is the color of socialism (as it was in the USSR), it should have been the other way around. If we break down the red and blue motif to a county level, you would see that most counties are red. Rural people tend to be more conservative. They also tend to be less likely to cheat during an election. Urban dwellers do tend to be more liberal, they also tend to be more dependent on government services. When the garbage trucks don’t come to a rural area, there are a lot of options. You can let it pile and wait. You can burn some of it. You can bury it. You can re-use certain things, such as scrap metal. You can compost some of it. In the city, life without garbage services is not very pleasant and it gets that way quickly. I personally have known people who have moved to a major city only to be greeted by the local Democratic machine with the warning, “Hi, we are the Democrats and the Democrats pick up the garbage around here.” And slow garbage pickup is one of the commonest complaints from those living in precincts that don’t vote with the political machine – which always turns out to be an arm of the Democrat party. Now there is also a literal machine. It is a voting apparatus that makes election theft automatic. No more messy paper ballots that can be easily recounted. Forget about those nasty punch cards, that provide some evidence of the voters’ actual intent. Modern science has given us a video game that helps a voter imagine that he is part of the process. No one really knows what happens. Of course, voter registration is another matter. In every State where a photo ID is required to register, Romney won in 2012. 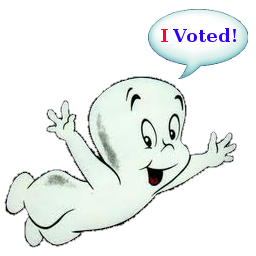 Ineligible or nonexistent voters are rarely purged from the rolls. During my misspent youth in politics, when I worked as a precinct committeeman, a former Chicago resident offered to help me. He told me that he used to go from precinct to precinct voting for his deceased friends. As he put it, “Just because they died, they shouldn’t lose their right to vote.” (This, of course, was said with a heavy Chicago accent). I politely declined. I hope that he is no longer voting, but considering that he only passed away a couple of decades ago, I have to assume he still is. So, it looks as though the Democrats will be able to win any national election for the foreseeable future. In this Alice-in-Wonderland world of the twenty-first century, we have an illegal alien in the White House. Or, at least, we have a guy who will not show his real birth certificate, and has boasted of his foreign-born status on video. We have a Supreme Court that refused to hear a case challenging his citizenship and/or his place of birth. That same sorry Supreme Court has ratified a highly unconstitutional piece of legislation that this illegitimate President ramrodded through Congress. So, there you have it. You and your fellow citizens have been given a strong dose of propaganda and most of them have taken the federal government as their god. You are locked into a two-party system that takes you on a cruise to nowhere. The Democrats can win any national election at will. The have no desire or need to follow the Constitution. The national debt is well into the trillions and you have a President obsessed with more spending. Currently, the national debt is rising by the minute. Once Obama’s ramped-up spending kicks in, we will be looking at hundreds of trillions. It will never be manageable. The outcome just will not be pretty. Perhaps you will see hyperinflation. Maybe you will find yourself rushing out to spend your paycheck, or government check, today because the money will be almost worthless tomorrow. There are other ways to deal with this kind of debt and none of them are pretty. Just imagine if the US defaulted on all its debts. Your government bonds, or the ones in your retirement fund, would be worthless. China would lose its investments and who knows what they would do in retaliation. Perhaps they would even take over US territories, such as Guam. Heck, maybe they would invade Hawaii. Why stop there; there’s always the west coast. Due to the current ridiculous interpretation of the First Amendment, we are banning Nativity scenes and allowing Muslim terrorists to plot violence from their mosques, which are temples to their false god, Allah. If you are a US citizen and find this paragraph offensive, you are living proof that the government propaganda machine his caused you to worship the United States of American as your god. Creeping Sharia is the number one threat to your freedom today. You have an openly pro-Sharia Muslim Congressman from Minnesota. He was even allowed to swear on the Koran when he took office. You have a closet Muslim President. Even Grover Norquist is a Muslim Brotherhood mole. At the rate things are going, it is only a matter of time before there will be a US Caliph. Our Founding Fathers knew exactly what to do in a situation like this. Thomas Jefferson explained it very clearly and succinctly in his Declaration of Independence. Unfortunately, those government propagandists in the public schools work overtime discrediting Thomas Jefferson’s greatest achievement. They play “hide the ball” and have you look at the least relevant portions of the document, but if you would bother to read the whole thing, you would see that it is a secessionist document. Not only did Jefferson justify the Thirteen Colonies’ secession from England, but he also justified secession as a prescription for tyrannies far less than those that we now suffer from in Obama’s America. Pick a sovereign and solvent State – any sovereign and solvent State. That would leave out places like Illinois and California. Illinois boasts of sovereignty on its State flag, but it is a fiscal nightmare. California is also a fiscal nightmare and it has other problems, too. California probably should be more than one State. Perhaps some of California should be part of Mexico. On its own, California would probably deteriorate into third-world status. So, think of places like Montana, Alabama, Texas or Alaska. Texas is probably the perfect candidate for secession. It has a population of over twenty-five million. Israel is a major player on the world stage with a population slightly above seven and one half million. Switzerland, the banking capital of the world, has slightly less than eight million. Ireland has less than five million, yet it is one of the main ancestral homelands for inhabitants of the US and other emigrant destinations. Texas has a long sea coast, so it can have a navy and merchant marine. Texas already has a foreign border, so it has plenty of experience with migration issues. Texas has a long history of independence and many citizens of Texas see themselves as Texans first and … well, as Americans, too. Texas has a relatively good economy and independence would only make it better. True, they would get no help from the government, but it does cost money to tax Texans, ship their money to Washington, and then ship some of it back to Texas. Let the Texan tax themselves and spend their money in Texas. Texas would be a free country again and the US would have new ally to the south, just as Canada is to the north. But Doesn’t Secession Require Violence? What planet are you from? I have been trying to think of all the secessions and secession movements in the developed world in the last 100 years and I can only think of two that involved significant violence. That would be the Irish Independence and the break up of the former Yugoslavia. Of course, the collateral effects of the two world wars cannot count as wars of secession. WW I and WW II were wars of invasion. Yes, we re-cut the map, afterwards. India seceded from Great Britain through peaceful–yet forceful–means. The Slovaks left their Czech friends peacefully. The old Soviet Union broke up with minimal violence. Quebec has taken several votes to secede peacefully from the rest of Canada, which has made it clear it intended to honor the Quebec voters’ wishes. Scotland has reemerged on the world stage with a high degree of independence, and no violence was involved. The Spanish Civil War was not about secession; it was a war to determine whether the Communists (who called themselves “Republicans”) or the Monarchists (who called themselves “fascists”) would control all of Spain. Red China did not secede from Nationalist China; it too was a civil war; the Reds captured most of China, but did not get as far as Formosa, a/k/a Taiwan. One gray area comes to mind in Israel. One could make a good argument that it was established with or without a war of secession. However, no one in his right mind would argue that a sovereign US State should leave in a violent manner. If That Is True Why Was There a War the Last Time States Seceded? Good question! However, Southern secession and the war that followed were only remotely related. South Carolina seceded on December 20, 1860 and no war started. Six other States followed suit and no war started. Lincoln almost did not make it to Washington, D.C., as there was an assassination waiting for him in Baltimore. However, Lincoln did take office on March 4, 1861 and there was still no war. Still no actual war. Lincoln ranted and raved and yelped about a bunch of troops to invade Dixieland. With his popularity at an all-time low, four more Southern States officially left. Two more States, Kentucky and Missouri seceded and didn’t secede. (It gets confusing when you have two official governments in your State.) Maryland came pretty close to voting for secession, but Lincoln had the ringleaders abducted and jailed, and that was the end of that. Still no war. There were many opportunities to avoid a war. Finally, on July 21, 1861, some eight months after South Carolina seceded, Lincoln’s troops got around to invading the South at the Battle of First Manassas. There is absolutely no chance that a modern secession of any US State could possibly result in war. What About My Social Security Checks? Who Would Pay If My State Secedes? Any State that secedes needs to think this one through. True, the seceding State could just pick up the obligation and payroll deductions on its citizens like the US, but that is part of the reason the US is falling apart. Entrusting politicians with pension funds is just not a good idea in the long term. It would probably be better to bring in the insurance companies. Let them run the program. We can debate the details at length, but suffice it to say that insurance companies could provide better benefits with the money collected now, or the same benefits while collecting less, and that includes picking up the current people receiving social security benefits. OK, So What Do I Do When Texas, Alabama, Montana or Alaska or Wherever Leaves the Union? Well, the simple answer is to go to that State. 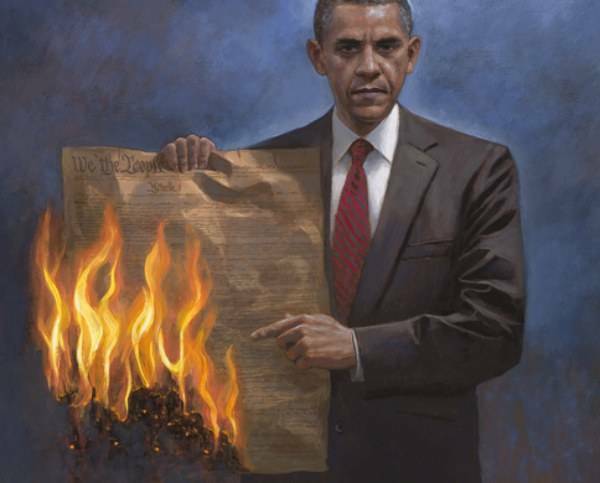 Any State freeing itself from Obama’s tyranny will probably need more people. It will be a prosperous land and there will likely be a “gold rush” to take advantage of that. It is likely that, whatever your field may be, they will need more of them in a former US State that is now independent. If you have a nice home State with secession potential, push to secede. It probably will be a lot easier for subsequent seceding States. Running your State is putting on drain on the US Treasury, and it is most likely sending people to Congress that are giving the Obama Administration fits. Dictators love passive citizenry. States like California will tolerate very high federal taxes–even push for them–and let the government spend away. Obama already has seven imaginary states, so he might not even miss a real State leaving the Union. At some point, every State may opt to leave, and the federal government could have a going-out-of-business sale. Most of the land west of the Mississippi is owned by the federal government. This could be sold at any time. US military equipment could be sold to individual States. Of course, insurance companies will be lining up for their share of the lucrative privatized social security business. However, if you or your State can free itself from the tyrannical federal government, what do you care? It will be a great thing when this horrible nightmare is over. Our faith is in Jesus Christ, together with the Father and the Holy Spirit. The lands of North America are His creation. The US system of government is a man-made institution. In the words of Hans-Hermann Hoppe, democracy has finally been recognized as the god that failed. The United States of America–as we once knew it–is a false god. It is doomed. Its many good principles can ONLY be saved, or rather, revived, through secession. 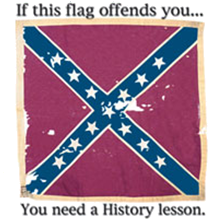 If at first you don’t secede, try, try again! Been preaching pretty much the same thing for several years now. But not on the Jesus thing. Well, there should be a state to fit everybody’s whimsey, and more power to you. Editor’s note: This reader makes some interesting points. Some are valid for sure. Some are a bit more questionable. We will be addressing his points in italics. About recent violent secession movements: I don’t agree with your count. There were two years of bloody war in Africa when Biafra tried to secede from Nigeria. What nobody seems to recall is that the southeastern portion of Nigeria was populated mainly by Christians; the remainder, by Muslims. The Christians wanted to get out from under Muslim rule. Muslim governments never let go of any territory or any population of captives go without a brutal fight. However, can we really consider this to part of the “developed world”? There was also an earlier war in the Congo over the Katanga province, and the current long-running Congo war has secessionist elements to it. Again, we are not in the developed world. It seems to me that this was more of a USA/USSR proxy action that was collateral to the Cold War. And what about the civil war in the South Sudan against the Muslims in the North. Again, can you really call this the “developed world”? The South Sudan conflict was not a civil war; it was a war of secession from a Muslim government. Here again, no Muslim power will let go of territory or captives without a fight. Civil wars and wars of secession are normally very different. A true “civil war” is a war to determine who controls the government. Karl Marx called the War Between the States a “civil war” and the term stuck. And I seem to remember a long-running low-grade civil war when Eritrea was seeking independence from Ethiopia. Not the developed world, sorry. 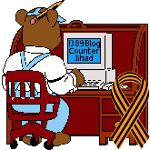 The war in Chechnya was also against a secessionist movements and has lead to a series of terrorist attacks in metropolitan Russia. That one I did not think about. Chechnya has been a hideout from criminals for centuries. The Muslims have gotten involved. I think you are right. Now, I can think of three. There has also been endemic terrorism by Basque separatists in Spain. OK, there are Basques who want independence. There have also been Basque violence. Spain is certainly part of the developed world and I did not think of it. Perhaps because I never considered it to be much of an independence movement. While we’re at it, let’s not forget the long-running Tamil rebellion in Sri Lanka. And there’s the continuing violence and terrorism in the southern Philippine Islands. That is a long-running attempted Muslim takeover of Mindanao. It’s what jihadis do. And wasn’t there a long running low grade civil war and independence movement in East Timor? Again, this doesn’t strike me as the developed world. It was also about Christians attempting to free themselves from Muslims. The problem with your calculations is that you’re counting civil wars that lead to independent countries, but you’re forgetting about all the civil wars over separatist movements that failed. The whole point of the article is that independence does NOT require a war. The fact that some wars don’t result in independence underscores that point. We don’t think that anyone in his right mind wants a war for independence. In the twenty-first century, the economics of such a war makes no sense. You need a win-win situation. The Czechoslovakian secession is probably most instructive. The Czech Republic became more prosperous without Slovakia. It seems that the Slovaks got the pride of independence. Both entities seem to be OK with their decision. I will have to think of Chechnya and Spain next time. Thanks for writing. For a point of reference. Virgina voters need to provide ID, although perhaps not photo id. Anyhow, VA went for Obama, so atleast 1 state with some voter id required went to the Dems. HOWEVER there are reports of some voter fraud in VA that is being investigated (to not much effect) and VA requires you present either your voter card (mailed to you from the state and without photo) or a drivers lisc. And perhaps alows for other forms of id like a power bill. So VA might fit or might not fit your mold of ‘states requiring id’. Many asians are irrationally proud of Obama being a president of USA. I as an asian nonbeliever don’t see anything to be proud of. Obama, having a part black ancestry would be even more ineffective in stopping any islamisation in any part of the world, where most moslems and most pro-moslems are noted to be non-whites. From CPAC 2013 – The Fight for Religious Liberty: 40 Years After Roe v. Wade — 1389 Blog - Counterjihad!